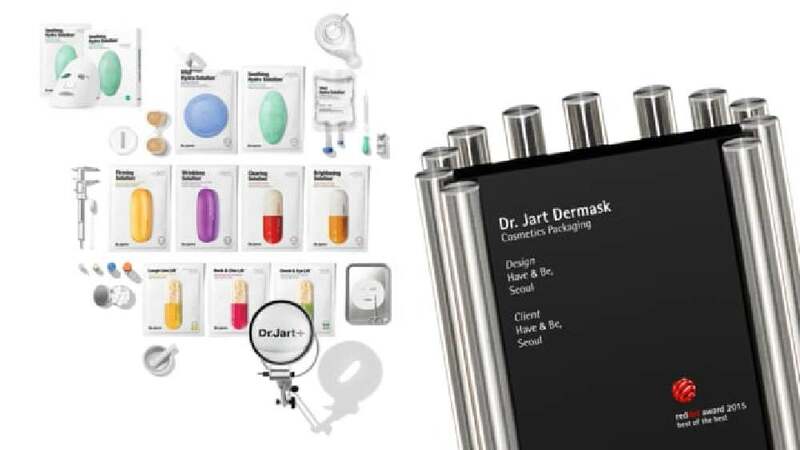 Dr.Jart Dermask is a collection of sheet masks developed by a dermatological cosmetic brand. The name, which is a combination of the words derma and mask, was motivated by dermatological procedures. According to the product concept “a mask prescription for my skin”, the packaging was designed to depict a personal prescription from a doctor in the form of a prescription envelope. At the same time, the vivid colours of the pill graphics are real eye-catchers, aimed at arousing curiosity whilst apparently showing what is inside the packaging. The combination of these graphics, which point out the sheet material, and the names that explain the product functions immediately enable the consumer to pick the most suitable sheet mask according to their skin concerns. The packaging material was developed to provide a special experience for the users: the unique sound created when opening the pouch feels like opening a prescribed drug, and thus enhances the authenticity of the product. What is special about this product is that it displays in oversized dimension what otherwise usually remains hidden, namely the medicine. The overall white design of the packaging points out that there is a doctor behind the mask and that it therefore fulfils high demands. Thus, it not only embodies the all-important integrity of cosmetic products, it also turns into an eye-catcher that is highly appealing.